You came to rest in Koktebel? 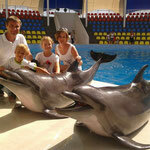 We invite you to use our services San Rest ("Sun 'n' Rest"), and our Manager is on vacation and excursions! So. 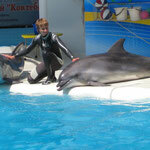 In Koktebel is one of the best dolphinariums Crimea! 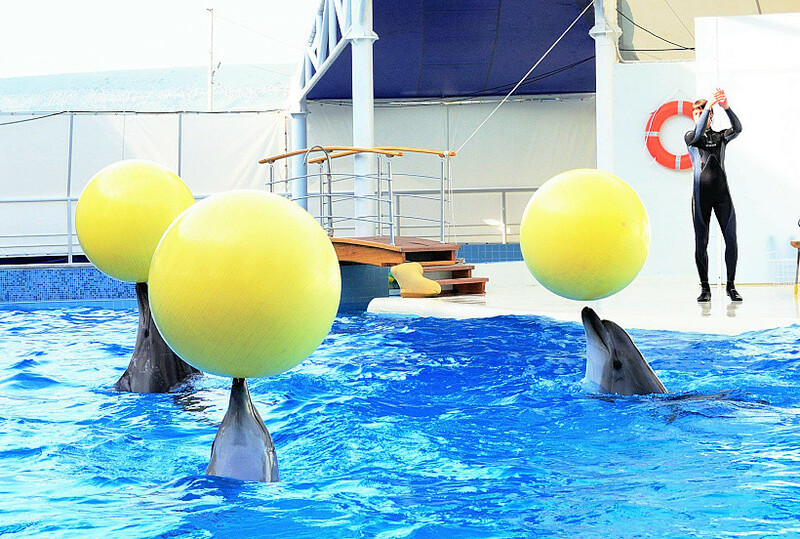 I can confidently make this assertion, because in almost every town where there is a Dolphinarium with children we visited, and now with my grandchildren! 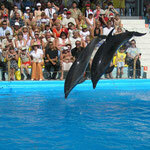 The Dolphinarium is a single complex with outdoor swimming pools, stands. 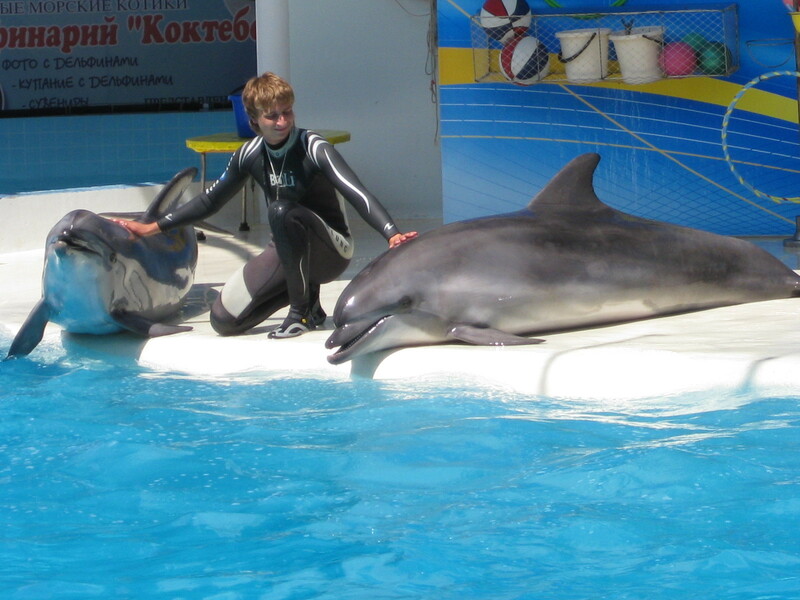 The Dolphinarium is a spiritual rest, peace, relaxation, relaxation. 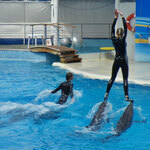 The Dolphinarium is used for the prevention of a wide range of emotional problems. 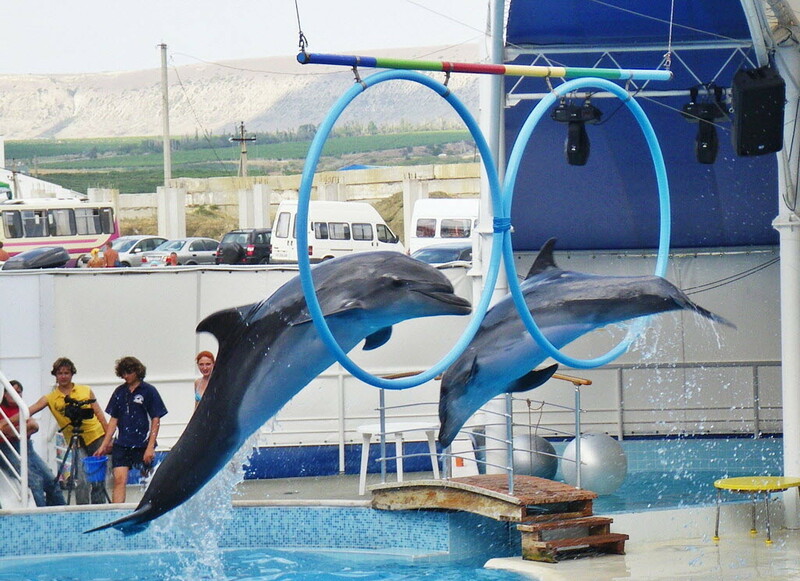 In Koktebel very good Dolphin, a small zoo, located on the territory of the Dolphinarium, greets you with the children in the first minutes of visiting the Dolphinarium, while you are waiting for the show to you and your children will not be bored! The seats are all very comfortable to view, the view's not for an hour, are seals, dolphins and Beluga whales, however, still small, but so cute "adorable"! The program demonstrates their "intelligence" and high learning ability. 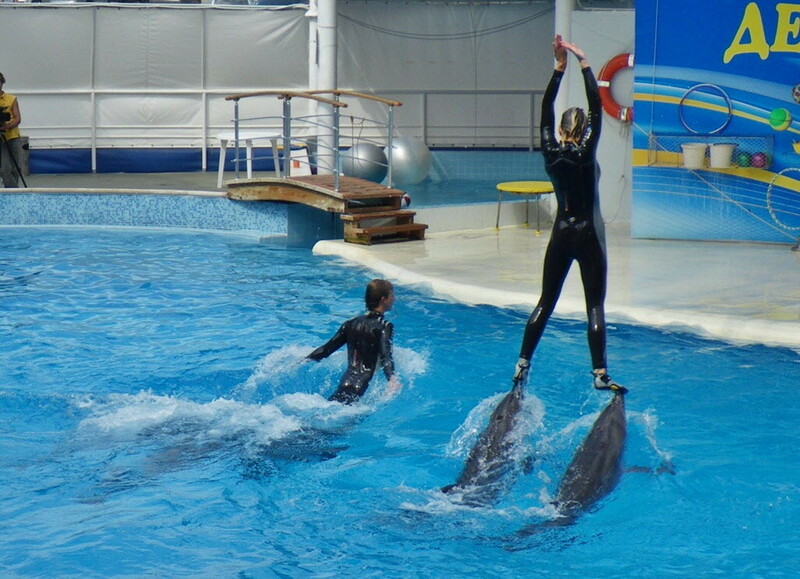 Dolphins and sea lions perform various acrobatic stunts, singing, dancing, showing what they "good girl"! 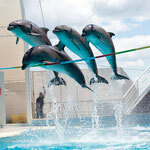 And all this they demonstrate with such ease and passion that you understand that they are at home and loved! 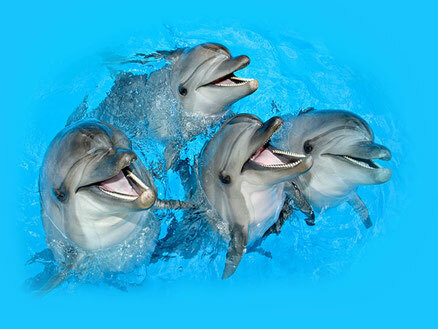 The main players are the dolphins, with wonderful names: Ivan, Danny, Zoe and mariska, and seals: John, Les, Peter and Zhorik. 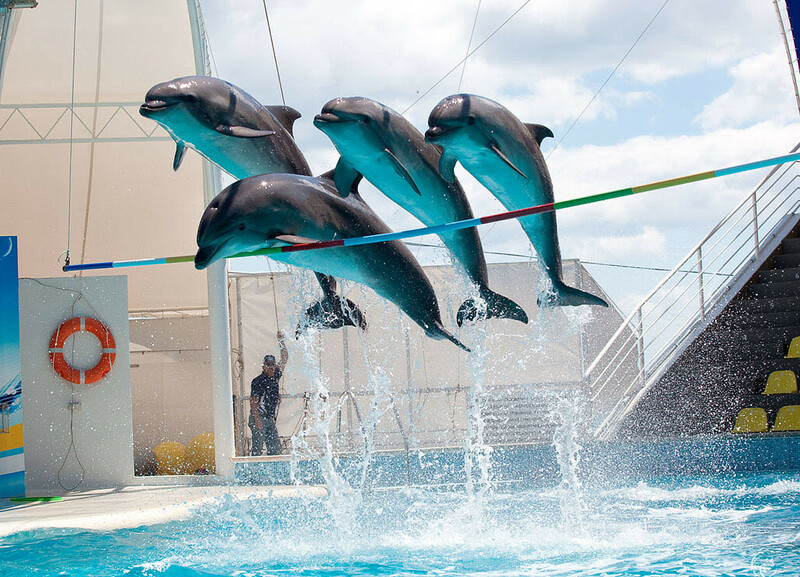 At the end of the presentation can take a picture with a cat or a Dolphin, swim with dolphins, and joint swimming with the whale,these feelings with anything nor to compare! 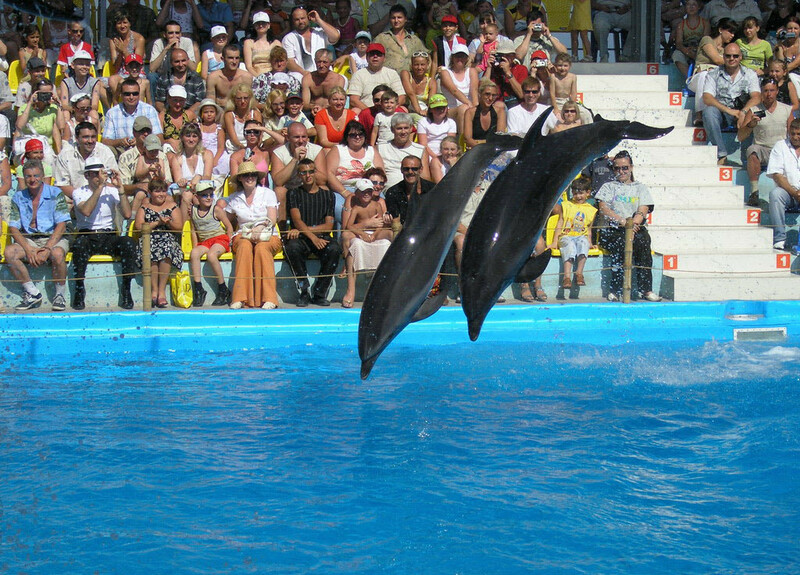 Also, at the end of the presentation of prizes: kids toys and adult champagne, you can also buy a picture drawn by a Dolphin. 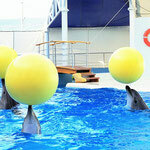 A wonderful team of masters (men and dolphins), working for the public, creating a tale of joy for children and adults. Looks "in one breath"! And at the end of the show you are sorry that the story ended so quickly. 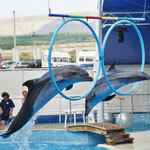 And with a firm confidence that next year, you will definitely come to rest in Koktebel, to his friends at the aquarium! Advise adults and children!!! The absolute sense of happiness! Sea of positive emotions! 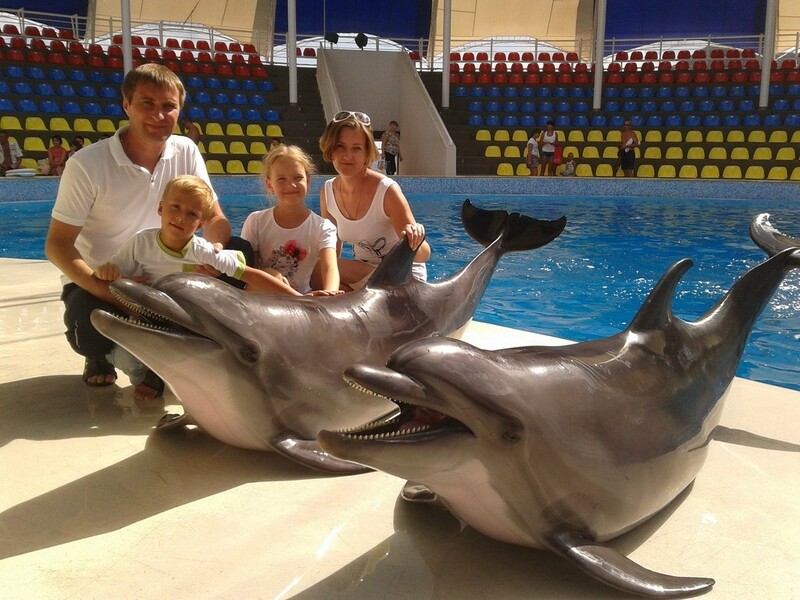 The joy of visiting the Dolphinarium will feel not only children but also adults!